Slovenska Televiza is a minimal electronics duo based in Valladolid and Barcelona. Wladyslaw Trejo and Lunademayo stays close to coldwave then expands to avant-garde and experimental approaches, reaching a proposal as strange as it is fascinating. 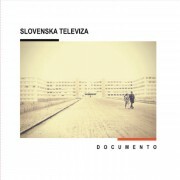 It must be said that Slovenska Televiza is not only limited to the musical arena, its commitment extends to other artistic facets as already shown with their very special debut, a performative action implemented in Latvia, where they traveled to leave behind the entire output in several locations.